The Grow Grid Mastermind Program | Kimberly Alexander, Inc. Build your Dream. Leave a Legacy. The Grow Grid Program is for the Serious Entrepreneur. You have your program or message and ready to build it big…and nothing can stop you! You know you’ve got it, you just need the process and steps on how to do it. Learn all the steps and actions needed, specific to your biz to build out a remarkable foundation to further scale and grow your dream. The Mastermind Program is an intensive 9-month program with 4 select members. The Mastermind is a selection process to ensure it is the best fit for you! This agenda is for both the individual mentoring and group mastermind. “As a professional photographer of over 25 years I found myself in a position that left me un-inspired and broken. Becoming a part of the Grow Grid Mastermind quickly opened my eyes to what I had been missing. 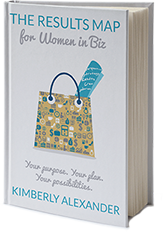 Kimberly is brilliant in her teaching and knowing how to relate to me, my passion and my very own brilliance. With her guidance I feel like a giddy new business owner! More than that, I have been able to move my business more in the last 6 months than I ever had by myself. If you are looking to elevate your business and move into the 7-figure life, she is without question the woman to help you become unstoppable. “I attended the TRME retreat last August, and it was a huge eye opener for me. I knew I HAD to continue to work with Kimberly Alexander after that retreat! It was another no-brainer to join her Mastermind. Yes it was a big decision, a commitment of my precious resources, time and money. Yet I have NOT regretted this decision. What Kimberly has created in this program is brilliant. It is a strategic system to move us along in growing our businesses and getting our messages out to our tribe in a most excellent way. Easy, not really. Simple, ABSOLUTELY. I marvel at Kimberly’s ability to hone in on what matters and how to excavate our brilliance in a very short time period. “I would not be where I am today or have the future I will have if it weren’t for my Grow Grid Mastermind Experience. Today I have my first book in hand because of Mastermind. Not only do I have a book, I have a clear strategy for leveraging the book to meet each of my goals.